TN Series meters are available with pressure rating to 1000 PSI (69 BAR), and can be calibrated for liquids with viscosity to 2500 cSt (12,000 SSU). This Series serves to span the gap between Fill-Rite meters (low pressure & low viscosity only), and flow meters with better linearity, higher capacity & pressure rating. 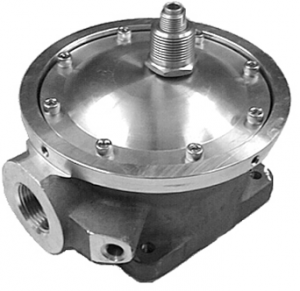 These meters perform well in service where the liquid viscosity remains constant, or where the viscosity is consistently above 150 cSt (700 SSU). In service where liquid viscosity fluctuates in 15-150 cSt (70-700 SSU) range, an oval gear type flow meter will perform better.